Around here, we call it an old soul. A person who holds value or appreciation for things often thought to be from a bygone area or way of thinking. It could be anything from a love of classic country music to an appreciation for the use of primitive tools, but something just makes a person seem older, or profess more life experience, than what their age should account for. Ott DeFoe is an old soul. I remember the first time I came in contact with DeFoe, so peculiar was my initial opinion. 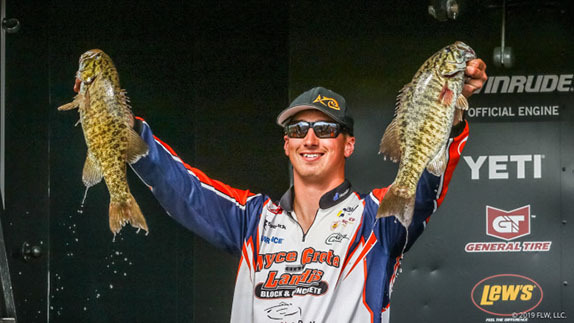 We both had made the finals in an FLW Series event on Lake Gaston, placing us each in the limelight on stage with the announcement of the top 10. After briefly hopping over a few names, the announcer called out DeFoe�s. This was the competitor to watch, we were all assured. After considerable time in the trenches, DeFoe was poised to up his game and go full-time, so strong had his national credibility grown as a touring pro. Driving the message home even further, DeFoe took to the stage carrying his newborn baby girl � much in the way we�ve watched dozens of 30-something bass stars grace the Classic stage, pretty wife and young family in toe, seemingly having the world by the tail. If I remember right, there was even some chatter about the �new baby� guarantee of a win. Yep, this guy had it all figured, from what I saw. Maybe when I got to be his age, I remember thinking, I could lean on my vast experience and solidify my own pro career. Little did I know, Ott was 22. Since that time, I�ve watched and admired DeFoe�s career. Throughout, I�ve always been impressed with his calm demeanor and seemingly unshakable nerve. The guy oozes maturity. I often ride with Classic competitors to get a feel for what�s going on between their ears in the most tense competitive situations. Despite being paired with numerous big-name stars, some of my most memorable times were spent observing Ott. Without question, DeFoe is really that guy � the one you saw on the weigh-in stage, mature beyond his years, willing to wait it out until it was his turn for a big break. DeFoe got it in the form of a hometown Classic and help from an unlikely friend, who turned him on to a spot that would seal the deal. Did DeFoe really need Poche�s help? Maybe, maybe not. And therein may lie his secret. I keep detailed records each time I�m paired as a press observer with any of our angling heroes, and decided to revisit those notes following DeFoe�s recent win. My speculation at the time of his future stardom surprised even me, despite jotting down the notes myself just a couple of years ago at the Classic in Houston. Starting the Classic in an area he has never fished before due to a bad practice - WOW - who does that?, I wrote of DeFoe�s choice of first spots. He continues to move through areas where he has waypoints but are not delivering now � no slowing down, I continued. 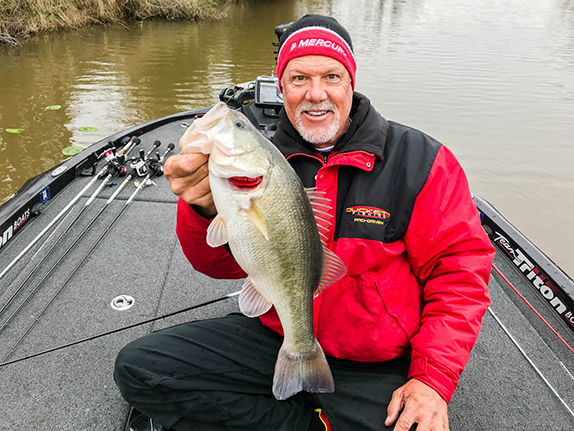 It seems as if his topwater bite is getting better, and he�s moving quicker to find more areas. He�s definitely developing the pattern as he�s going along. Continues to fly by the seat of his pants. Not getting rattled � seems to be having fun. Went back and apologized to a crappie angler for waking his boat as he approached. Ott made it clear that this gentleman�s day was just as important as his � they were each just out fishing. WOW!!!!! � I�ve never seen a pro make that gesture. Fishing as slow and steady at the end of the day as he was in the beginning. It�s like he�s just practicing. DeFoe is incredibly relaxed and focused on the fishing aspect. He will win the Classic before he will lose it. 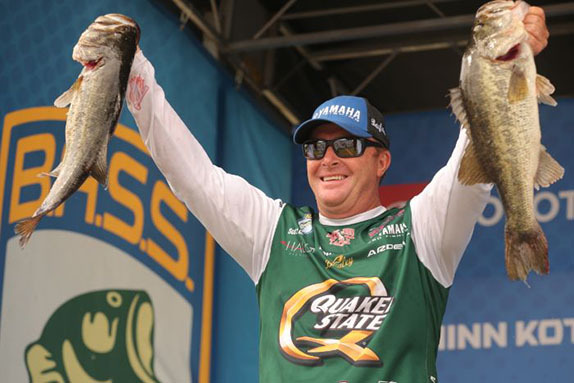 Later in this event, DeFoe would weigh a big final-day bag, including the tournament�s biggest bass, en route to a 5th-place finish. This year, we watched a transitioning Classic � one that proved B.A.s.s. is still the biggest game in town, and their outdoor show has grown to be the highlight of the bass fishing universe. We also witnessed a young man, only in terms of years, deliver a performance we all knew he was capable of, in pure gentlemanly fashion. Not surprisingly, DeFoe credited God, and his father, for developing in him the passion and drive necessary to pursue his career. He expressed gratitude for finally being given the chance to prove his capability to the fullest. But for those of us lucky enough to watch from the back deck, we knew it was there all along.